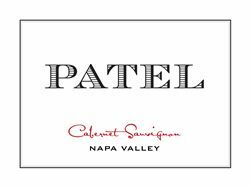 PATEL Napa Valley crafts Bordeaux-varietal red wines from Napa Valley. Our wine is rooted in the use of Old World techniques and is distinctively Napa Valley in expression. Our goal is simple: We strive to produce the most expressive Cabernet Sauvignon possible from Napa Valley's finest vineyards. PATEL wines are extremely limited in production and are sold first to those on our mailing list, followed by select fine wine retailers around the U.S. as well as a handful of distinguished restaurants. Our mailing list continues to grow by word of mouth endorsements from our loyal clients. If you would like to add your name to our mailing list, please visit our "Mailing List" page and provide the requested information. Mailing list allocations are offered once or twice per year during release periods and are based on mailing list sign-up date and purchase history. While the winery is not open to the public, we welcome your inquiries. Tastings may be available on a very limited basis for mailing list customers, by appointment only. Let us know when you will be visiting Napa Valley and we will try to connect! !